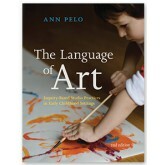 Ann Pelo is a teacher educator, program consultant, and author who primary work focuses on reflective pedagogical practice, social justice, and ecological training and learning, and the art of mentoring. Currently, Ann consults early childhood educators and administrators in North America, Australia, and New Zealand on inquiry-based teaching and learning, pedagogical leadership, and the necessary place of ecological identity in children’s – and adults’ – lives. 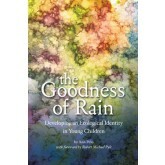 She is the author of several books including the The Language of Art and The Goodness of Rain.